Brian and the Strangers discuss the philosophy and approach of the team, their rehearsal process, and the unique group of people that make up WKS. Brian plays in a 10 minute montage with WKS focused on making bold choices without fear of judgement. Thanks to Zach Simons for audio production and live tech and our new home at Arcade Comedy Theater for hosting the show. In November's episode, Brian sits down with performer, teacher and writer Ric Walker. Ric has taught Improvisation, Acting and Writing for organizations including Pegasus Players, After School Matters and The Second City. He has improvised with legendary companies such as The Improvised Shakespeare Company, Comedy Sportz Chicago, The Second City and MCTD (Midwest Comedy Tool & Die). Ric is currently an MFA Student at Pitt and an active member of the Pittsburgh comedy community. Ric and Brian discuss the process used by Improvised Shakespeare Company and how that show was created in the early days, Ric's informal poll of great improvisers that revealed four qualities of great improvisers and what they are, as well as Ric's use of stock characters, particularly in short form. We then played two 5 min(ish) character-focused games, one in which we played two characters being interviewed documentary-style and the other in which I interviewed a series of Ric's go-to characters. Don't miss Talking Shop next month date and guest TBA! In October's episode, Brian sits down with Arcade Comedy co-founder and twenty year improv veteran Jethro Nolen. Jethro has studied and performed at iO and Annoyance in Chicago with teachers such as Charna Halpern, Mick Napier, Susan Messing, Joe Bill, Craig Cackowski, Rich Talarico. 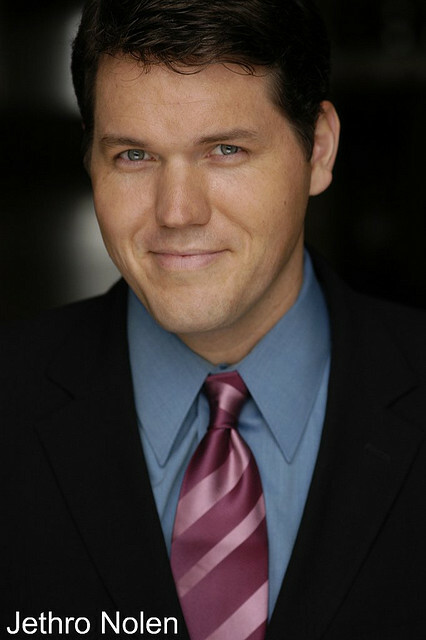 He has performed with Boom Chicago in Amsterdam, at iO West in LA and studied with The Groundlings. Jethro is now a Creative Director at Arcade Comedy Theater where he performs regularly with Nolen & Nolen, Dinner with the Nolens, and a variety of other shows. I talk with Jethro about his experience with The Lindbergh Babies, a team directed by Del Close and who performed the last improv form Del ever created. We talked about Del's process and its influences on Jethro's own work, specifically about getting rid of preconceptions about the form and the scene and allowing anything that happens to be a part of the work. DISCLAIMER: During the set, Jethro spoils the ending to Breaking Bad. Don't miss Talking Shop next month on November 17 at 8pm with actor, improviser and teacher Ric Walker! Benjamin Amiri began his improv career at free Irony City workshops in 2008 and his blossomed into a talented player, sought-after coach and introspective articulator about his work. Ben has been a member of the Steel City Improv Theater house teams The Up & Up, Field Trip and Well Known Strangers as well as a number of independent teams and coach of Hotel Nowhere and Yeah Those Guys. I talk with Ben about getting interested in improv as a professional engineer, then diving in hard, being intensely present in his scenes, and his uniquely wonderful coaching style that is focused on positivity and support but not at the expense of a strong motivation for quality. Thanks to Omar Ornelas for audio production, Aaron Tarnow for live tech and the Steel City Improv Theater for hosting the show. Don't miss Talking Shop next month on October 20 at 9pm at our new home at Arcade Comedy Theater. I'll be talking to Jethro Nolen! Michael Capristo has been doing longform improv since 2007. He has studied at the UCB Theater in New York before moving to Pittsburgh where he taught and performed in such memorable SCIT shows as Post-Crisis; Gillotti, Capristo, and Beck; and Delighting Myself with Michael Capristo. He now lives in LA where he performs with his team Old Vegas at the iO West and several indie theaters in town. I talk to Mike about writing vs improv, his definition of game and how he uses finds it without struggling, and the differences among New York, Pittsburgh and LA improv. We then do a monoscene -- which in 10 mins we learned is just a long scene. Watch the set online or listen to the whole interview here. Don't miss Talking Shop next month on September 21 (at 6:30pm!) with Ric Walker! 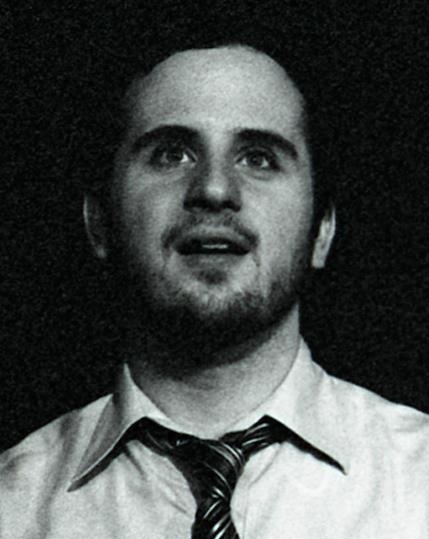 Sam Turich has been a professional improviser for over fifteen years. He has directed at Gotham City Improv in NYC where he created the long-running weekly main stage show Off the Top of Our Heads. Sam has acted on stage and screen and is currently in post-production on Progression, a full-length feature about a progressive dinner in Lawrenceville. I chat with Sam about short form improv -- its virtues, how he did it well, and why more people should perform it -- acting, and his zen approach to improvisation. Then we do a short form set together (hosted by the fantastic Gab Cody), before a very lively Q&A. Watch our set -- we play a couple short form games (Ding! and Scorsese). Don't miss Talking Shop next month on August 17 (at 7pm!) with Michael Capristo! Listen in on one of Brian's favorite past times, talking shop with Steel City Improv Theater Artistic Director Woody Drennan. Woody studied and performed improv for the last 16 years in Los Angeles at theaters such as iO West, UCB LA, Second City LA and the Groundlings. Since moving to Pittsburgh, he has become an invaluable member of the SCIT family with his work on shows like Midseason Replacements and LawProv, groups such as Well Known Strangers, and his general enthusiasm. We discuss what Woody likes to watch on stage and perform on stage, then he and I sit and improvise around a table (watch the full set). Note: for more with Woody, check him out on Haters for Hire! Thanks to Omar Ornelas for production support, Aaron Tarnow and Jadon Baker for tech and the Steel City Improv Theater for hosting the live show. Don't miss Talking Shop next month on July 13 with Sam Turich! 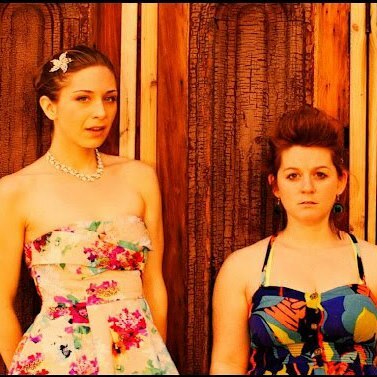 Brian talks to best friends and five-year duo partners Amie Roe and Kristen Schier. Together, they are the award-winning Amie and Kristen Show/Kristen and Amie Show, an organic and incredibly fun show. Separately, Amie is a member of the Megawatt team Brick at the at the Magnet Theater in NYC and a psychotherapist. Kristen is the Season Producer at the Philly Improv Theater, the Artistic Director of the Philly N Crowd, and a professional actor, improvisor and teacher. We discuss what makes their show special and how they keep their play fun and honest. Then we go onto do some of the most fun improv I can remember. From a fairly offensive mother and son to Kristen making me name Huey Lewis songs when she knows I can't. Video of the set to be posted soon! Thanks to Omar Ornelas for production support, Aaron Tarnow for tech and the Steel City Improv Theater for hosting the live show. Don't miss Talking Shop next month on May 4 with Ric Walker! In this premier episode, Brian talks to SCIT Teacher and performer and comedy nerd Greg Gillotti. We discuss Greg's performance style as a devotedly supportive player and how he doesn't feel like he is one, his tools for getting out of writer/director mode, his research and preparation for coaching the Nebby Spectres into a narrative arc, and his creation of shows based on catchy names. We perform a series of scenes in which Brian keeps trying to give Greg objects and kisses and Greg keeps begrudgingly welcoming hobos into his barn. Then we talk about the set and Greg answers some great questions from the crowd. During the interview Greg mentions a book about improvising narrative: How to Improvise a Full Length Play: The Art of Spontaneous Theater by Kenn Adams. Thanks to Omar Ornelas for production support, Woody Drennan for tech and the Steel City Improv Theater for hosting the live show.